Don’t Allow Poor Credit to Hold You Back from the Life You Want! Life is hardly a by-the-book kind of thing, and we know that sometimes there are hiccups and we’re all human, we all make mistakes. So, if you’re in need of a car to get to work or to just make life a little easier and you’ve had your eye on one of our new Nissan models, Certified Pre-Owned Nissans, or other top-brand used vehicles, don’t write yourself off just because you’ve got less-than-stellar credit! 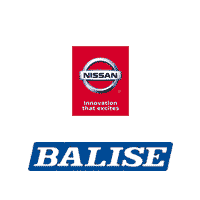 Here at Balise Nissan of West Springfield, we’ve been in business a long time, and we’ve got experience working with all types of credit, so your credit problems won’t be new or scary for us! Don’t let poor credit hold you back from the new Nissan vehicle you need-finance with us and start rebuilding your credit today! Why do you offer bad credit car loans? We understand that someone’s credit doesn’t paint the whole picture of who they are, and because we all make mistakes, here at Balise Nissan of West Springfield, we’re willing to look past a bad credit score to see the person behind it. We take pride in service drivers from Springfield, Chicopee, Holyoke, Westfield, MA and Enfield, CT, and when we help someone with poor credit take the wheel of a great new Nissan, it brings us joy. Not only are we helping a neighbor get back on the road, we’re also helping them build back their credit, so you can trust us to get you the financing you need and help you slowly but surely improve your credit score along the way. Forget bad credit, I don’t have any credit, can I still get a loan? Sure! We love to work with first-time buyers. Just speak with the friendly folks on our finance team and they’ll help you draw up an auto financing solution and payment plan that works for you. What will I be paying monthly? Your monthly payments are based on a few factors, such as down payment, credit history, and the overall price of the vehicle. To get a better idea of what your individual situation will necessitate, you can take advantage of our handy payment estimator for a clearer picture before walking through the showroom doors. Do you offer loans for used cars as well as new? Yes! Our finance department has experience working with all kinds of loan types, so we can help you finance both new and used models, whichever works best for you. Will buying a car make my credit even worse? As long as you make your payments on time, buying a car and getting a car loan can actually improve your credit, demonstrating that you’re less of a risk in the future! Okay, I’m ready. What’s next? After finding the Nissan vehicle that best suits your needs, you can fill out our online financing application to get pre-approved. One of our finance experts will reach out to you once we’ve got your information to get the ball rolling on all the financing options available to you!